5 Things You Can Do Now To Prepare For The Open Water Season ~ Feel For The Water! Advice & Tips to Improve Your Swimming. If you live in the northern hemisphere we hope you are enjoying the longer days and perhaps even the occasional glimpse of some spring sunshine! If you love open water swimming you'll be counting down the days until the season begins - depending where you are, it's probably only 4 to 8 weeks away now. If you watch elite open water swimmers and triathletes at work, you'll see that nearly all use a straighter arm recovery to a greater or lesser extent. In a wetsuit this takes the load off the shoulder muscles and when swimming in disturbed water (created by a field of swimmers) a straighter arm gives you more clearance and stops the hand catching on chop. Swimming with a faster cadence is especially useful in disturbed open water as it helps you punch through waves and chop more efficiently. This needn't be harder work when you get used to it - it's a bit like spinning a smaller gear on the bike - each stroke is less effort but you take more of them. Think about getting into your catch a little quicker at the front of the stroke to lift your rate. This is quite subtle (it's easy to lift things too high and start fighting the water) so we recommend using a Tempo Trainer Pro in stroke rate mode and experiment with lifting your stroke rate by 5-6 SPM in a controlled way. The best open water swimmers is the world mix this up when racing, lengthening out their stroke in flat conditions and shortening the stroke subtly when things get a bit rougher. leader to get a huge tow! 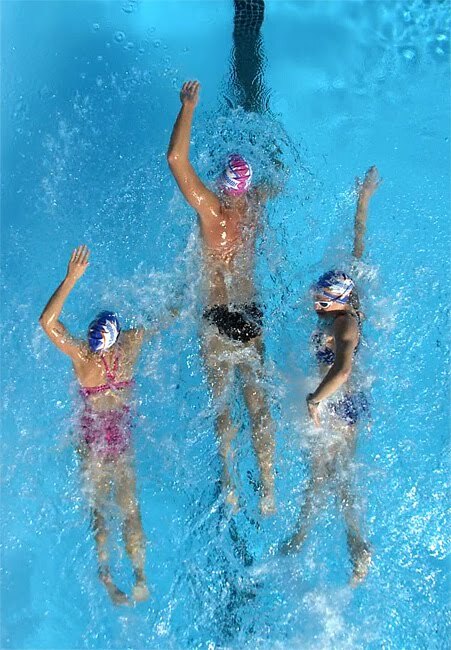 Get together with a small group of 3-5 friends and perform some structured exercises swimming as close as you can to each other, for instance arrow head drafting (right). You can only swim two or more abreast if you have your own lane with no swimmers coming the other way but even in a public lane you can practise swimming as close as possible behind each other to experience a lot of turbulence. Swim fast and get the heart rate high! 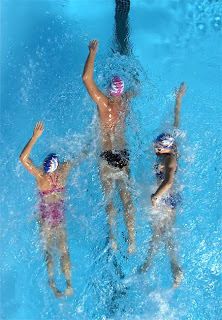 Another tip is to deliberately swim in a side lane at the pool where there will be more chop bouncing off the side wall. Oh god really? Yes! Breathing to both sides can make a huge difference to the symmetry of your stroke - and stroke symmetry means swimming straight. You can work on your swim fitness and stroke technique to the cows come home but if you can't swim straight in open water you will throw all that away and much more besides! We know from GPS tracking and drone footage that age group triathletes can easily swim 10 or even 20% too far by swimming off course. Even if you are a few seconds per 100m slower breathing bilaterally you can gain this back and much more from swimming straighter. It's so important to be adaptable in open water. For instance have you noticed how most open water swims and triathlon courses are anti-clockwise courses? If you can't breathe to the left then you're going to have a lot of trouble judging your position against the line of the buoys. Getting good at sighting is important - the key is to be able to look forwards comfortably without undue effort and without interrupting the flow of your stroke. The very best way to develop this technique is in the pool, sighting forwards regularly when you swim. Try sighting once per length at a random distance down the pool, picking out an object like a clock to read the time. Already swimming outdoors, 5 degrees, I get 30 mins with a wetsuit. You want to see the skins shivering after 15! I Swim Smooth I wonder if you can help me here with the bilateral 'issue'. I come from a running background and I take about 35 breaths per minute at my aerobic 10k run pace. My stroke rate is right at 75 strokes per minute, but if I bilateral breathe that is only 25 breaths per minute. Not surprisingly I feel horrible and gassed. When I breathe every 2 I feel immensely better and I go faster. Is there any reason I can't breathe every 2? I just don't know how I can swim my fastest feeling so out of breath with bilateral I cannot seem to get into a groove. I would have to increase my stroke rate to 105 SPM to get my respiration rate equal to my running and use bilateral. Thanks! Hi Adrian - sounds brutal!!! What doesn't kill you makes you stronger and all that! Yes you can breathe how you want if you're happy with that, what we say is that there's so many advantages to breathing bilaterally in terms of developing your stroke that it's hard to ignore. So many of the stroke issues holding swimmers back are caused by breathing just to one side so we recommend avoiding it if at all possible. At 75SPM it should be very achievable to comfortably breathe bilaterally - experience bears this out. If you feel horrible and gassed it's much more likely to do with your breathing technique (particularly a lack of exhalation) that's holding you back. What sort of speed are you swimming at your aerobic 1500m pace? Definitely worth giving some attention to your exhalation (sink downs etc). I would also consider if there's anything else you are doing in your stroke that is causing you to burn a lot of oxygen, for instance are you kicking hard or from the knee rather than with a straight leg? Fighting the way and snaking perhaps? What is your pacing like? Setting off too fast will quickly leave you in oxygen debt. One other factor here is that the oxygen demands of swimming are lower than running (at the same equivalent pace, say threshold) so it should be comfortable breathing at a lower rate. The key is to make sure that you are breathing with good technique to make the most of every breath. Hi Adam thanks for your response. My 2 Oly races were 21.12 and 22.0 for the swim splits. 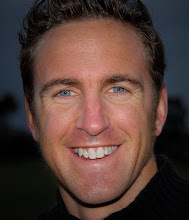 I moved last fall and lost my Masters coaching and picked up a local tri coach who is a Swim Smooth follower. Hence my trip here to find out more about the bilateral discussions I'm having with him. During practice I can keep the same paces with bilateral for about 2k, but then I fall apart b/c I feel horrible. I use a bit of a loping/gallop stroke with unilateral which has proven to work really well in the choppy swims. The bilateral stroke feels a bit more even, but it's about 33 seconds slower over a 500 test set vs my loping stroke. Not sure how much of that is stroke based or acid build up from poor O2 exchange. Either way it's much slower. My breathing is so rhythmical with loping I don't even think about it, but when I'm forced to exhale slower and wait for a bilateral I just progressively feel worse and by 6 minutes I'm feeling horrible. If this helps you arrive at any conclusions further we have done pre-season lactate threshold tests in the lab for bike and run. Not possible to do at pool side so I use perceived effort and HR. Bike LT is 142 and 36 breaths per minute. Run LT is 146 and 37. Swim is ~ 137 HR and 37 breaths. HR is lower in the water for sure. When I go to bilateral my HR skyrocketed to 167 at the end of the 500 using 25 breaths. Actually it was even less than 25 near the end b/c I ran out of gas and was down in the 65 range stroke rate. OK sure - well as I say if you're sure unilateral is the way to go for you then no problem but I'd still do a lot of bilateral breathing at slower paces in training to help you develop your stroke (e.g. the catch on the opposite side to your preferred breathing side). Are you sure you have to exhale slower when swimming bilaterally? At 75SPM most swimmers would have trouble exhaling very much breathing ever 2 and would end up breathing just off the top of their lungs. Hi Adam yea I definitely have to consciously hold back on my exhalation with bilateral or else I will run out of air to exhale by the 3rd. Meaning it's an automatic exhalation response right now with unilateral as soon as my face returns to the water I just let it go naturally and I don't restrict myself to nose only or mouth only exhalation. Back with my old triathlon team and the lactate testing service we used there was a lot of discussion about nose breathing, mouth breathing, mixing the two and aerobic work levels. Turns out almost all of us were pure nose breathers when we came to them and once I started to just let it go naturally I had really big gains with my LT training. Took me a little while to integrate it into my swimming without messing up my stroke timing, but once I put more air into my swimming it really took off.